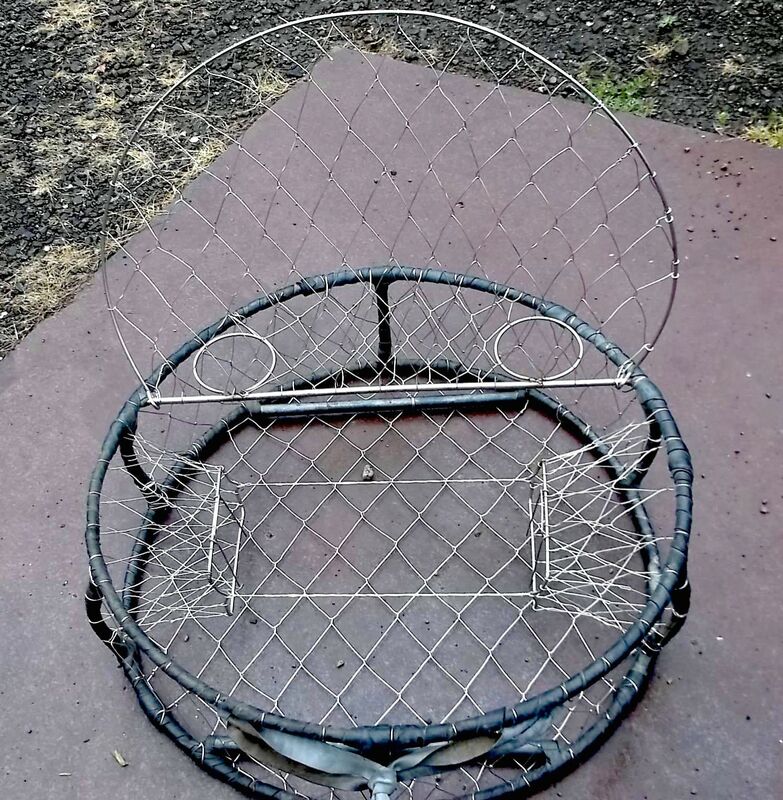 These are a true shrunk down version of the PNW commercial crab pots. Designed and handcrafted by Imperial Marine. They are legal in both Oregon and Washington waters. Oregon does not require an escape ring but Washington state requires two 4.25" escape rings. 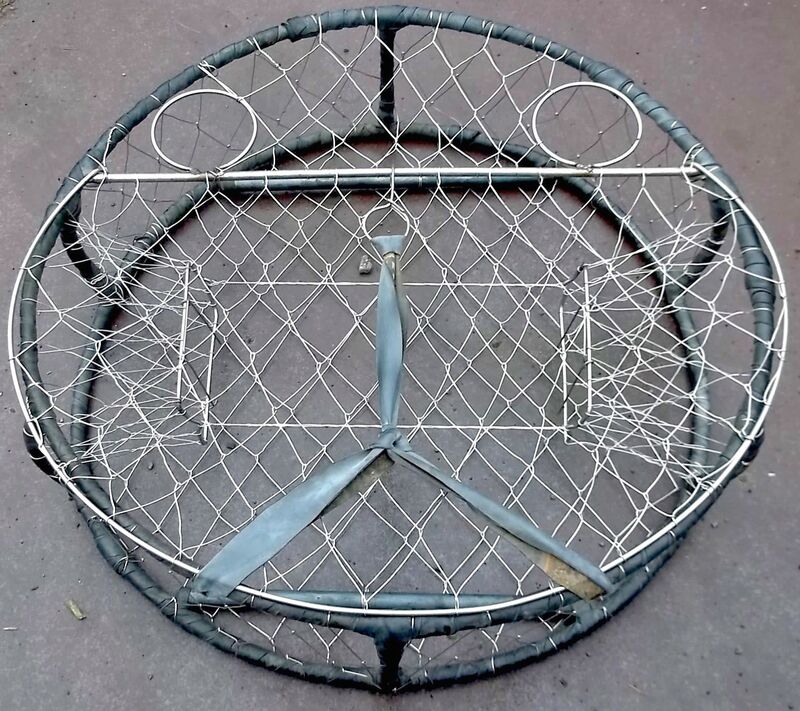 Over 30 years experience in building and knitting both commercial and sport pot crab pots. These pots are the KIND! Pots that we made over 20 years ago are still being fished to this day, so they LAST! Totally grounded, there will never be a need to hang zincs in them. Hand knitted/woven in .041 stainless tunnels, .048 stainless bottom. 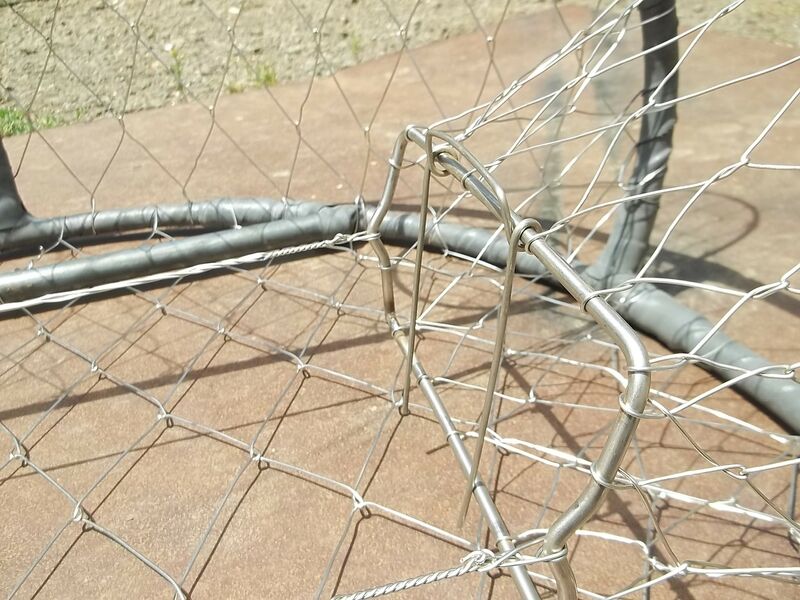 Large opening with stainless steel crossbar for ease of getting the crab out. 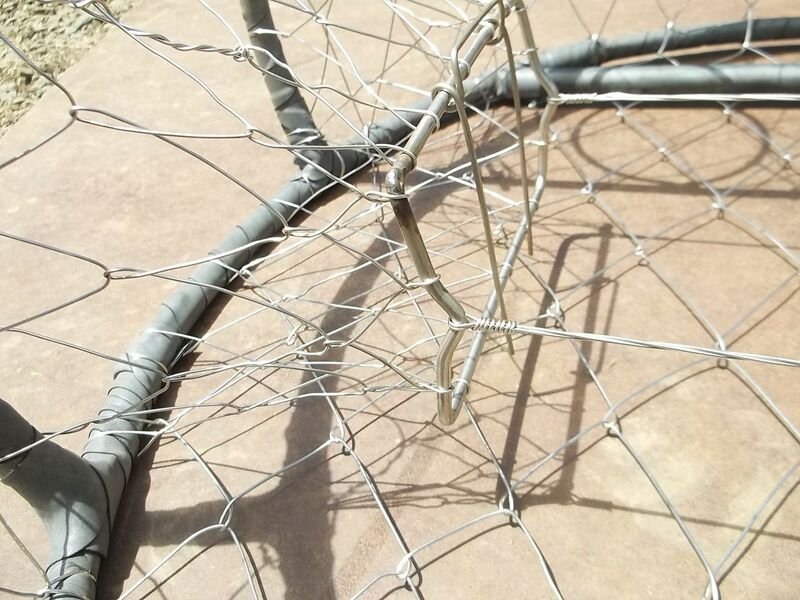 All wire tails are crimped over, so there are no sharp ends anywhere that will snag on clothes or worse yet, your SKIN. Curved uprights so not to roll when they hit the bottom, they lay down flat and start fishing. Double wrapped with EPDM Firestone rubber. These pots weigh 28#&apos;s and are 28” diameter, can be used in the ocean, bays and can easily be heaved up from docks with a little muscle power. 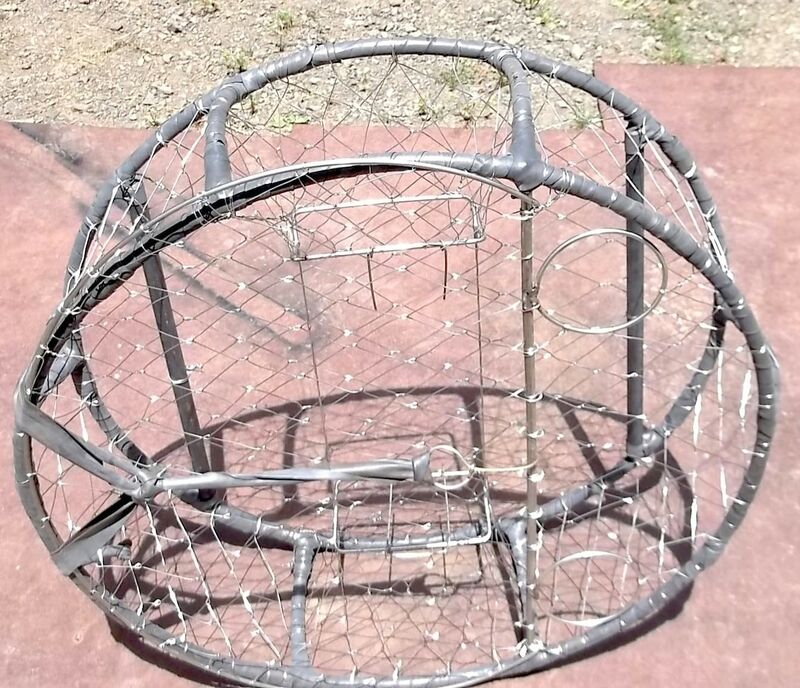 Can be built with heavier weight bars if needed, we take special orders. 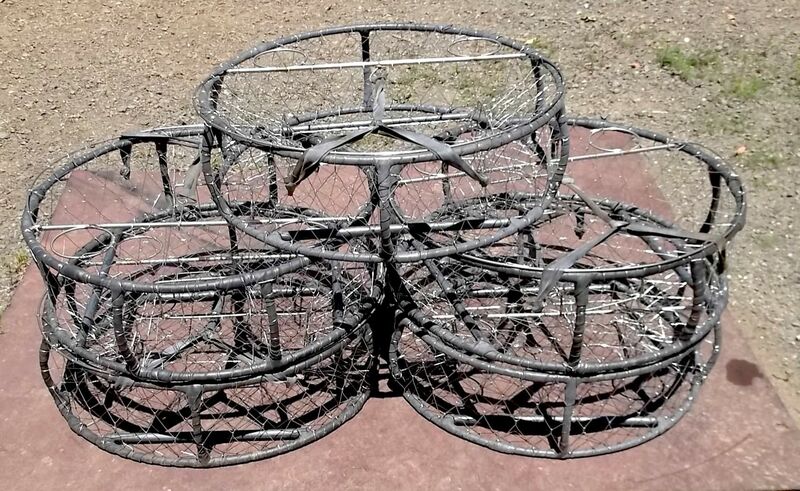 If you want a high quality crab pot that will withstand seal attacks, catch crab and last for years, these are the ones you need. Many local references. Call & place your order today!